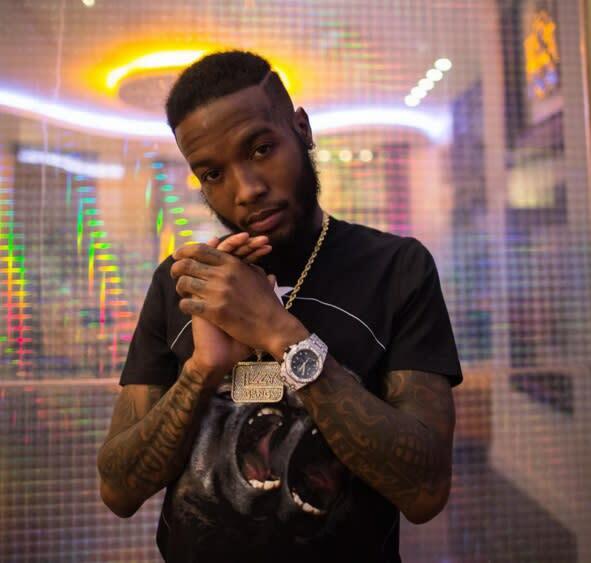 Shy Glizzy on Chain Snatching Incident: "I Slip'd Up and Got Comfortable"
A few days after newly released footage seemed to show a pair of Memphis rappers making off with Shy Glizzy&apos;s chain over the weekend, the Washington, D.C. rapper has responded to the claims on Twitter. Glizzy, who released a collaborative mixtape with Zaytoven in September, claimed the incident wasn&apos;t a "robbery" but that the snatchers "got tha chain off tha floor." He later added, "I slip&apos;d up and got comfortable but that come from tha amount of love I show other niggaz. never again." for every action, there&apos;s a reaction.. chain-reaction!